In STEEPS categorization, this is a Political/Policy, Scientific, and Technological counterfactual. Massive numbers of the world’s people die every year in auto accidents. For years our leaders have been resigned to accept this problem. It’s as if we think we can’t really affect it, or that the cost of dramatically reducing auto deaths would be too high. Both arguments are misconceptions, with major consequences to our social foresight. I can think of nothing else that humans do with their technology that involves such a horrific annual loss of life. Wars, for example, kill only a fraction of us every year by comparison. Oslo’s Peace Research Institute estimates an average of 55,000 of war deaths per year since 2000, a steep decline from 100,000 per year in the 1990s, which in turn is a fraction of the 180,000 per year during the Cold War years (1950-1989). Even if these numbers are twice as underrepresentative as they might be under different definitions, war deaths are still minor, for almost every country, by comparison to the deaths we inflict upon ourselves by the ways we choose to use the automobile. In 2009, the World Health Organization published the first global report on road safety in 2009. It’s ridiculous to think that it took this long for the first such study to occur, but that’s the reality, apparently. Surveying 178 countries, the report estimated that 1.23 million people died in road traffic crashes in 2007. This number was widely quoted in the media and it finally raised global awareness of the magnitude of the problem. The UN called for a Decade of Action (2011-2020) to address traffic deaths, via improvements in policy, road and auto safety. No doubt progress has been made, but meanwhile, as more folks get on the road and drive more miles, total deaths have continued to rise. The WHO estimated 1.25 million global road traffic deaths in 2013. The obvious long term solution is AI. Self-driving cars and collision avoidance systems are going to allow huge reductions in these numbers. The figure often quoted, the one Tesla is presently aiming for, is a 90% reduction in annual deaths once they are in widespread use. But self-driving vehicles are going to take another generation to dominate on the roads, and eventually, to be mandated. What can we do meanwhile? To answer that, let’s look at our counterfactual, which tells a story of what good leadership could have started doing sixty years ago, three generations past, to address this problem, if we’d risen to the challenge. We often remember our past eras by our past leaders. Looking back, I think it is a good exercise in foresight to measure those leaders by not only the things they achieved, but the opportunities they let pass. 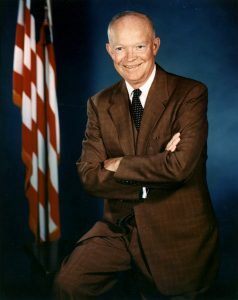 I would lay the first great leadership opportunity on the issue of domestic auto deaths, at the feet of Dwight Eisenhower, president from 1953-1961. Our previous administration, under Harry Truman (1945-1953), may have been too ignorant of the scope of the auto death problem, and America herself may have been in an environment too violent and fear-based, with WW II, the start of the Cold War in 1950, and the Korean War in 1950-1953, for a US president to be able to credibly lead the states and auto companies on the issue of auto safety. The 1950’s were an era when Americans turned to family, to repair the traumas of World War II and reap the benefits of the middle class life. Many moved to the suburbs, they focused on raising families, they drove big cars, and the kids built hot rods in great numbers. For leadership potential on auto safety, 1955 was special, a good time at which to begin our counterfactual. The data on the value of seat belts for preventing head injuries became public knowledge in the US in 1955, when Dr. Hunter Shelden published a very influential article in JAMA, citing how head and neck injuries accounted for 70% of auto fatalities, how seat belts reduced such injuries, and proposing retractable seat belts, recessed steering wheels, door locks, and roll cages for the roofs of cars. 1955 was also the year that the three point seat belt was patented in the US. Two point seat belts first also became options on the Nash (1949) and Ford (1955) around this time. Perhaps most importantly, Eisenhower had the leverage to introduce real change, via the federal money that would be deployed to states in the building of the new interstate highway system that he had championed since the start of his presidency. The funding and building of that system were launched with the Federal Aid Highway Act of 1956. The problem was already a public health travesty. There were 36,000 auto fatalities in the US in 1955. Excluding a small dip, to the mid-25,000’s, in the late war years of 1942-1945, when most young men were fighting overseas, over 30,000 Americans had died on the road in car crashes every year since 1930. These numbers were well known at the time. So let’s imagine what good leadership could have done in intervening decades, for America and the world, if Ike had made interstate auto safety (for all cars that want to drive at high speeds) as important a political issue as interstate highways. We’ll tell this story from the perspective of ten classes of innovations that each have the potential to really move the needle on this issue. Our counterfactual has future value as well, as most of these innovations could still be implemented today, both in the US and globally, in this last generation or two before self-driving AI becomes ubiquitous. We’d guess that by the 1980s onward, between a third and a half of annual US and global deaths might have been prevented by the use of the majority of these innovations, as their effects all reinforce each other, even though most of these would have been used piecemeal at first, in nonmandatory ways. Thus we think that millions more people would be alive today, and tens to hundreds of millions would have been spared disabling injuries, both in the US and globally, had such foresight and leadership emerged. Seatbelt Laws and Better Seatbelts. As a war hero, Eisenhower could have brought up the terrible cost of America’s war deaths, and compared them to a still-largely-ignored scourge, the total American deaths since the introduction of the automobile in 1899. Unlike war deaths, which are periodic, auto deaths grew almost every year in the 20th century. He could have reviewed the numbers, as each death is someone’s family member, and reminded them that unlike war, a good fraction of these deaths are are preventable. In the first twenty-five years of the auto (1900-1925), though few of us were driving, more Americans died in auto crashes, 161,000 of us, than in all war deaths in that time, including the 116,000 of us who died in World War I. In the next twenty-five years (1926-1950), American auto deaths were 756,000, a number nearly twice as high as the 405,00 Americans who lost their lives in WW II. Eisenhower’s closing point could have been that in the first two years of his presidency, more Americans were dying every year as had died in the entire Korean war (1950-1953), which killed 33,000 people. 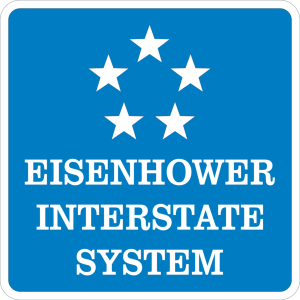 Now imagine Ike promising to work with lawmakers to require states to implement major auto and road safety features to make the new interstate highway system a clear benefit to America, not another scourge. His office could have required seat belts in cars sold in US states receiving federal highway funds beginning 1956, and pressed the states to apply penalties for their nonuse. In the US, new vehicles had to be fitted with seat belts only in 1968. Even today, buses still get an exception, which is crazy. In such a climate, lack of seat belt use could have been a ticketing offense by 1960, after replication of Dr Shelden’s JAMA study. Penalties for nonuse first emerged in 1970 in Australia, but the US didn’t get them until 1985 in pioneering states like Texas and CA, and until 1994 in lagging states like Mississippi. In our counterfactual, we all got the option for better seat belts, too. Many private pilots have had five point seat belts, many with a central clasp, for decades. For some reason they never made it to cars, other than for infant car seats, as we see on this cute baby at right. Such belts are far better than three point belts at restraining the passenger in a crash, and they can be designed to still allow the body freedom during slow movement, just like a three point belt. Six point seat belts, which some Formula One drivers use, are are even safer at high speeds. 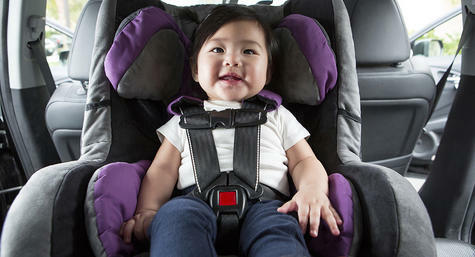 Five or six point restraints are the only way to sleep safely with the passenger seat flat. In our counterfactual, these “better belts” are offered as subsidized options on many cars in the 1950’s, are required on all autos with passenger seats that can lay flat, and on all RV beds that are accessible while the RV is in motion. Mercedes introduced seat-belt pretensioners in 1981. In our alternate world, they came in 1961, as we assume a Commission on Auto Safety was formed by Ike in the late 1950’s, and the commission’s annual report guided federal R&D and short-term subsidy money to the most innovative automakers whose safety products are actually used by consumers. interstate highway system. Emergency exceptions would likely have been allowed, ideally with steep fines for misuse. In our counterfactual, after the Eisenhower administration’s pioneering safety leadership, Jackie Kennedy became the first of many First Ladies to make child auto safety an issue, and to advocate for the use of child safety seats right from when they first started emerging, in 1962. In our history, Jackie Kennedy and Ladybird Johnson also advocated massive penalties for drunk driving. For many years, almost half of auto fatalities were alcohol-related, and they remain a big fraction today. In our history, Mothers Against Drunk Driving started in the 1960s, rather than when it finally did in 1980, which is criminal, when you think about it. The early 1970s were a social low point for America in many ways, including civil strife and urban decay. They were also the era with the highest fatalities on American roads. For eleven years, from 1966 to 1973, and from 1978-1980, more than 50,000 Americans died every year on the highway. In 1965, Ralph Nader made a name for himself as a consumer advocate with Unsafe at Any Speed: The Designed-In Dangers of the American Automobile (left). It was a nonfiction bestseller in 1966, the first year that more than 50,000 Americans died on our roads. President Lyndon Johnson gets kudos for being the first to make auto safety standards and enforcement a federal matter, with the National Traffic and Motor Vehicle Safety Act and the Highway Safety Act in 1966. This bill came about in large part due to public pressure from Nader’s book, which documented corporate negligence with respect to safety issues and added fuel to an already growing national debate. Johnson’s remarks on the scope of the problem while signing these bills showed some real hindsight and foresight as well. But a lot more could have been done, both before and since, as we’ll see. Crash Cages. In our alternate world, rollover protection for tractors, roll bars for convertibles, and occupant-enclosing crash cages for regular autos all emerged in the 1950s, and such features are partly subsidized and consumer education subsidized as public safety, by the state. In the 1970s, Mercedes pioneered the forty-five degree front engine firewall for frontal crashes, which shoves the engine down and under the car’s crash cage in a frontal collision, dissipating large amounts of crash energy. That was a great advance, as valuable as the crumple zone, because a lot of crash force is dissipated by such strategies, yet this innovation never spread to other cars, as far as I know. Leaders concerned with safety would have pushed to make crash cages required, as occupant survival goes up so dramatically if they are encased in an noncrushable passenger compartment. They could also have provided awards or subsidies for safety features like the Mercedes firewall. Even today the passenger compartments of most small cars will crumple along with the crumple zone, maiming or killing their occupants, rather than having noncompressible compartments, which raises the cost of manufacture. Leadership and legislation was thus required for this to have occurred. Internal Airbags. Airbags were invented in 1951. Federal R&D funds for them could have been made available in Ike’s highway bill, and by the late 50s, they’d have been an option on many cars. Driver side airbags didn’t get to the US until Chrysler introduced them in 1988, seven years after Mercedes in Germany. Like vaccines, airbags are a complex technology that occasionally kill a few folks, while saving vast numbers of other folks in return. Many people remain irrationally scared of both technologies. If we’d had airbags starting in the late 1950’s they’d be in far more vehicles today, and we’d be much further along in our acceptance of, insurance around, and advancement of such technologies as well. Safe Motorcycles. Many folks don’t know this, but nearly half of all global auto fatalities today are motorcycle riders, so a safer motorcycle would be a very big advance. 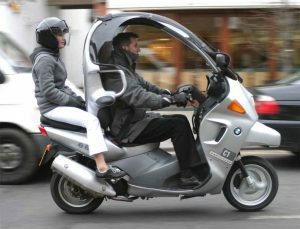 A semienclosed motorcycle, with a seatbelt, BMW’s C-1 (right), was sold in 2000-2002. Sales were lackluster, it didn’t protect passengers (see right) the crash cage was heavy, so it made low-speed balance just a bit harder, and it was a bit more expensive, than an ordinary motorcycle. Predictably, it sold slowly and was soon discontinued, and it never even made it to the US. If its development had continued, it would soon have had a very lightweight (carbon fiber) crash cage, exending on the sides as well, and the R&D and initial sales of such cages could have been subsidized by the government. Such bikes could have emerged in the 1950’s, with fiberglass crash cages. All it would have taken is imagination. Being seat belted with a crash cage around you still gives riders a very open-air experience. In urban areas, many more folks would ride motorcycles today if they could still lane-split and be made much more crash safe. Airbags are another way to making motorcycles safer. Internal airbags on the cage bars keep the motorcyclist’s legs and arms inside during a crash. Wearable airbags, on motorcycle jackets and leathers also save lives, and they could be much farther along than the primitive ones that exist today. Boat Fender Auto Bumpers. Cheap vulcanized rubber emerged in the 1910s, nylon in 1935, polyurethane foam in 1954, and kevlar in 1964. Such ingredients allow the creation of very tough, light, and flexible bumpers. 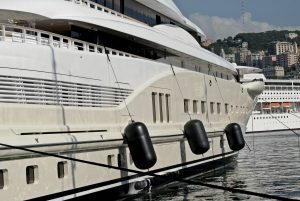 A boat fender made of these materials will keep a massive ship from hitting the pier, reversibly deforming under its weight, reaching its load limit, then pushing the ship back out without rupturing (left). If you’ve ever seen that happen with a big cruise ship, as I have, you understand how such an auto bumper would maintain its integrity even in a high-speed auto crash. Auto headlights and taillights could easily “float” in wells on the surface of such big, light, flexible, and super-tough bumpers. They’d be filled with air cells that would rupture at different crash pressures, have a foam-filled innermost layer, and would stick out one, two or three feet in front of and behind the safest versions of various cars. 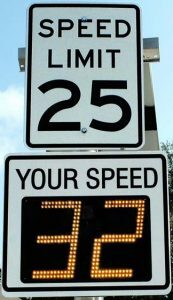 Anyone who used them would get no significant repair bills from low-speed scrapes and crashes, and major protection in high-speed crashes. In our alternate history, such bumpers emerge as federally-subsidized options on many cars beginning in the 1950s. By the mid-60’s a few of these designs would be able to claim double the survival rates of their occupants in high speed crashes, and minor repair bills for most low-speed crashes. As riding around in cars is the most dangerous thing that most of us do in the modern world on a daily basis, halving our driving risk, even if it required driving in a “clown car”, as some of these designs might be called, would be well worth it for many folks around the world, especially if you could choose your level of protection based on the size of your bumpers. Picture something like the Porsche speedster (right), but even larger, and with bumper material rather than metal for it surface, front, back and sides, and you can imagine one potentially popular design. 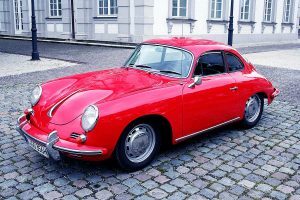 Some automakers would have been willing to offer such models to their customers, assuming subsidies existed for all such innovations which would be used and proven safe, as a public health good. Sonar-Deployed External Airbags. Like internal airbags, external airbags might also hurt or kill a very small number of people by accident, while saving a much larger number, so they would be controversial, but I see no reason why they wouldn’t be accepted, just like airbags are today. to save the lives of soldiers in case of power failure at 100 feet altitude. So they can create massive deceleration forces, with very heavy vehicles, at least in theory. 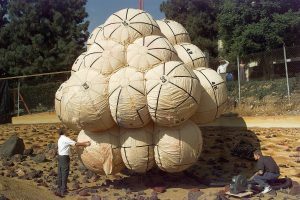 The Mars Pathfinder famously landed in 1997 using external airbags. At left is a picture of them being tested in at JPL in 1995. In 2013, ZF TRW demo’d a smalll 200L side airbag for cars (right) that reduces side impact force by 30%. They propose to see them in autos by 2020. Unfortunately, in today’s safety-lax auto climate, I think that’s wishful thinking. With a few more years of R&D, the military ones might finally be here by the end of the decade. But in todays political climate, I have no confidence we’ll see external airbags on cars anytime soon. We could have started external airbag R&D decades ago, if we’d had leaders who recognized their obvious potential, and cared to make this kind of R&D attractive to automakers. Consumers alone will never be able to pull this kind of innovation into the market. Automakers, for their part, will virtually never take the risk of building the first imperfect versions. Incentivizing airbag R&D, and rewarding success, is a classic opportunity for political leadership, and politicians also deserve the blame for punting on that leadership, so far. Sonar-Deployed Automatic Braking. 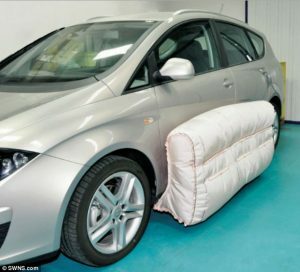 This is another lifesaving technology, that fortunately has been a bit easier to develop than external airbags. Many high-end cars finally offer it today, and I highly recommend it for all of you if you can afford it. It would have existed twenty or so years ago, and its R&D and early production subsidized, in our alternate history. Self-Driving Cars. In our alternate history, not just Tesla but today’s leaders would be talking about how self-driving cars are inevitable, how they promise to cut out 90% or more of current accidents, and how we need to do everything we can to keep speeding up development of this kind of AI, including helping all our automakers adopt this future, rather than being driven extinct by the transition. People would also understand that self-driving cars doesn’t have to mean a world in which people lose their freedom to drive themselves, a misunderstanding that continues in America today. Tesla’s shared autonomy Autopilot, for example, is an AI that is already smart enough to take over “when needed”, and such AIs can help people be better drivers whenever they want to drive manually, as many folks still do. The great historian Richard Rhodes coined a term, structural violence to describe what happens when a society causes violence to its citizens by the legal, technological, and economic structures that are required of ordinary people in order to get along, even though less violent structures are easily imaginable and achievable, but not available. This is an apt term to describe the social contract we’ve made regarding use of the automobile since its invention in the late 1890s. All modern societies that use today’s automobile subject their citizens to a significant degree of structural violence around its use. Many of us must spend hundreds of hours every year in cars, to get to our jobs, to shop for essentials, and to make our living in the modern world. But when we go to the automaker to buy a car that will protect us in high-speed collisions, we can’t find one at any price. So we buy what is on offer, and we and our families take our chances. That’s a bad deal. If we lived on an alternate Earth, one with governments and automakers that cared more about human lives, everyone would have access to affordable safe cars, and people who chose not to drive such cars would shoulder the costs of their unsafe driving, rather than pushing those costs onto the rest of us in higher health and insurance premiums. We don’t live in such a world today, but in a few more decades, thanks to AI and the people that will implement it, we’ll have something like it. 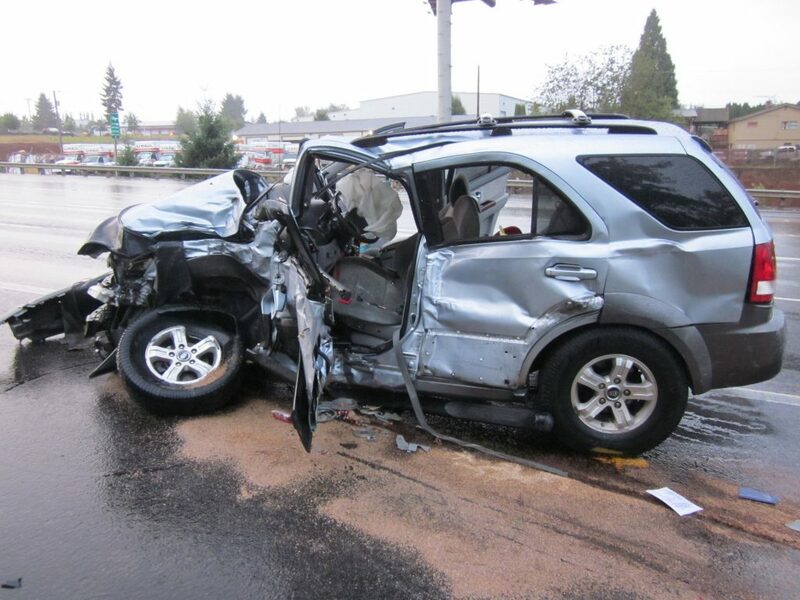 So for the long term, I’m optimistic about transportation safety. But for the next generation at least, be careful. Foresight matters!